The following is an excerpt from an article first printed in the 10 January 1976 edition of Republican News. GERRY ADAMS, writing from the Cages of Long Kesh Prison, writes of the terrible conditions for republican POWs in English prisons, particularly of the horrors of forced feeding, as Frank Stagg entered the final month of his hunger strike. As it happened, Stagg was not force fed during the hunger strike on which he died, but he had been on previous fasts and it was this brutal method of torture that led directly to the death of his comrade and fellow Mayo man Michael Gaughan in 1974. Britain's Ambassador to Chile, Mr Reginald Seconde, said yesterday that he knew Sheila Cassidy, detained in Chile for 59 days for helping a wounded Chilean guerrilla, had been tortured by Santiago police two weeks after her arrest last November. Mr Seconde was reporting to the Brit Foreign Office after his recall from Chile and pressure is building on Brit Foreign Secretary Jim Callaghan to take some firm action against Chile over the treatment of Dr Cassidy. The case has achieved immense publicity on the Brit news media and English politicians have been making very angry noises against, and about, the use of torture on political prisoners. At the time of writing, and for the past few weeks, Frank Stagg, a republican POW in Wakefield Prison, has been on hunger and thirst strike, while Roy Walsh and two of his comrades are still in solitary confinement in the Prison Segregation Unit (Special Control Unit) of Wormwood Scrubs after their protest there last November. Republican prisoners in England are held under solitary confinement conditions and Paul Holmes, in particular, has spent most of his time in the Segregation Unit of Parkhurst Prison, known among republican POWs as 'The Hole'. They are all making one basic demand, and that is a transfer to Ireland so that they may serve their sentences nearer home. The precedent for this move was made when Dolours and Marion Price were transferred after a long and horrifying hunger strike and again, when Hugh Feeney and Gerry Kelly were moved to Long Kesh. Loyalist prisoners, albeit without hunger strikes, have also been transferred. Once again, England has shown her ability to condemn torture abroad against her citizens, while at home in her own prison hell-holes, day and daily, Irishmen and Irishwomen are tortured in the most cowardly and bestial manner. Within the next week or two support for Frank Stagg will build in the ghettoes and among the freedom loving people of Ireland. This may be too late. It must be stressed that Frank Stagg will die if pressure is not brought to bear on the Brits immediately. With this horrible eventuality in mind I decided to write a short article on conditions for republican POWs in English jails, so that while we go about our daily business, at work or at home, each and every one of us may understand the daily hell which our prisoners in England are fighting against. To assist me in this, I asked two comrades, Hugh Feeney and Gerry Kelly, to scribble a brief outline of their experiences, so that I could give an outline of Frank Stagg's prison 'routine'. Their notes arrived in this cage this evening and I have used them below almost as they were written. As a republican prisoner myself, who has spent a few years in Long Kesh and a month or two on the Maidstone Prison Ship, I have often felt quite sorry for myself and many times I have had the audacity to feel chuffed at enduring all this. Since reading Gerry and Hugh's account of forced feeding I have stopped kidding myself. My two brief punishment sessions 'on the boards' here, the odd beating-up on Brit raids and the conditions which my visitors endure have all paled to insignificance beside the plight of our people in England. Long Kesh, Magilligan, Armagh, Crumlin, Portlaoise, the Curragh, the 'Joy and Limerick Jails are bad. English Prisons are worse and are, in truth and fact, living hell-holes. There is no martyr complex in the following notes, no talk of doing 'bird', no self-pity. Republicans in England are there only because of the English presence in Ireland. Until that presence is removed it is the duty of every Irishman and woman to push relentlessly for the transfer of our prisoners from English to Irish jails. The precedent has been set. English hypocrisy must find no excuse for continuing their torture of Irish republican POWs. It must stop now before Frank Stagg dies, alone and unwanted in his prison cell. Frank has been on four previous hunger strikes and the conditions he is at present suffering are as they were when he was on hunger strike and in solitary confinement in Parkhurst and Long Lartin. He is now in the hospital wing of Wakefield prison, under the 'care' of Doctors Knox and Xavier. Both these men have force-fed Irish prisoners and, last May, Frank Maguire MP reported that a week after being force fed, Frank Stagg still bore the nail-marks of Dr Xavier on his wrists. These doctors call force-feeding, 'tube' feeding. Frank Stagg may be in the hospital wing, but a prison hospital cannot, in any way, be equated with a civilian hospital. Frank has been moved from one cell of the prison punishment block to a greater punishment — the possibility of forced feeding. He still remains in complete solitary confinement and he must inevitably face force feeding again even after the decision by the British Medical Association to condemn it. Forced feeding has not been stopped, but it is left to the discretion of the prison doctor. Frank Stagg was last force fed in May 1975. Jenkins, in a reply a few months ago in the Brit House of Commons, stated that he had left it to the prison doctor. 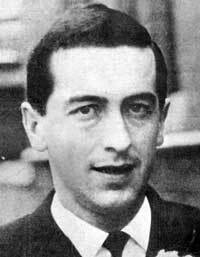 If, as is likely, Frank Stagg is forced fed again he will suffer the following torture and, because his throat and stomach in particular cannot have healed properly, his health will deteriorate more quickly than it is doing at present. "He will face the possibility of at least one and maybe two 'feedings' daily. Force feeding is always brutal. No matter how often it occurs the victim does not get used to it. Some sessions are worse than others, but all are terrible experiences. If the 'feedings' are not at regular times each day, and usually they are not, then he spends the entire day trying to prepare himself emotionally. Trying to restock his determination to fight. A team of screws are the first to appear. They come into the cell with varying expressions on their faces. These range from snarls, through impassive indifference to the odd sheepish apologetic smile. He will be 'fed' either in his cell or dragged outside into another one. He will be held in a bed or on a chair. Usually six or eight screws are involved. They swop in an obviously planned manner, holding and pressing down on arms and legs. He will struggle as best he can even though he knows it is useless. One grabs him by the hair and forces his head back, and when he is finally pinned down in the proper manner the doctor and his assistant arrive. Various methods will be employed to open Frank's mouth. His nose will be covered to cut off air, or a screw or doctor will bunch their fists or bore their knuckles into the joints on each side of the jaws. A Ryle's tube will be used. This is a very long thin tube which is pushed through the nose. It is supposedly for nasal feeding, but, in forced feeding, it is simply a torture weapon used to force open the jaws. It rubs against the membrane at the back of the nose and, if not coated in a lubricant (which it seldom is), it causes a searing pain, akin to a red-hot needle being pushed into one's head. If Frank cries out with this pain, a wooden clamp will be pushed very forcibly between his teeth. If this fails to work, the doctor will use a large pair of forceps to cut into the gums, the ensuing pain again forcing the jaws to open sufficiently for the clamp to be forced in. Sometimes a metal clamp, rather like a 'Bulldog' clip, is used. It is forced between the teeth and a bolt is turned, forcing a spring and the jaws to open. When Frank's jaws are finally pried open, a wooden bit, rather like a horse bit, is forced into his mouth. This bit has two pointed ends, which are used to force and to hold an opening. It 'sits' across his mouth with a screw holding each end, and there is a hole in the centre of it through which the feeding tube is forced. A flat piece of wood is inserted first to press the tongue down and then a three-foot long rubber tube, coated in liquid paraffin, is shoved in and down his throat. A funnel is placed on the open end and they will pour some water in. If the water bubbles, they know the tube is in Frank's lungs. If so, the tube is removed and the whole process starts again. Michael Gaughan was murdered in this way. When the tube is eventually fixed properly, it is pushed down into Frank's stomach. There are different widths of tube and obviously the wider they are, the more painful the torture. Doctors usually use the widest as food goes down quicker and they don't have to delay overlong. Frank will feel his stomach filling up and stretching, an experience he has undergone before. Automatically, he will vomit up, the disgorged food being caught in a kidney dish. If the doctor in charge is especially sadistic the vomit will be forced back down his throat again (this happened to Gerry Kelly). As the tube is removed it tears at the back of his throat, more so than before because the liquid paraffin has worn off on the way down. The last few inches will be ghastly. Frank will get violent pains in his chest. He will choke and, at this point, he will be sicker than before, as the tube coming out triggers off more retching (Marion Price passed out at this stage once). After 'feeding', Frank will find it impossible to stand up, to sit up, or to move in any way. Frank Stagg is also on thirst strike. This is dealt with in two ways. The first method employed is simply more force feeding with water fluids in the food. Since this liquid bypasses his mouth (via the tube) that is where he will feel it most. The other method involves putting extra salt in the liquid during force feeding. This causes a more concentrated dehydration and increases the desire for water. To repeatedly alternate between thirst and hunger strike, as Frank Stagg is doing, is extremely difficult and indescribably agonising. He may be refused a towel or water to wash off his vomit as Hugh Feeney was, and his cell will stink of sour milk and disgorged food. On one occasion Hugh Feeney was even denied Communion by a priest, so Frank could find himself denied even spiritual comfort. This then is a broad outline of the barbarism condoned by English politicians in England and condemned by them elsewhere. It is inflicted, with equal savagery, on girls as well as men. Dolours and Marion Price were tortured like this during a strike which lasted 205 days.